location of our 2018 Annual Membership Meeting (AMM): DENVER, CO! 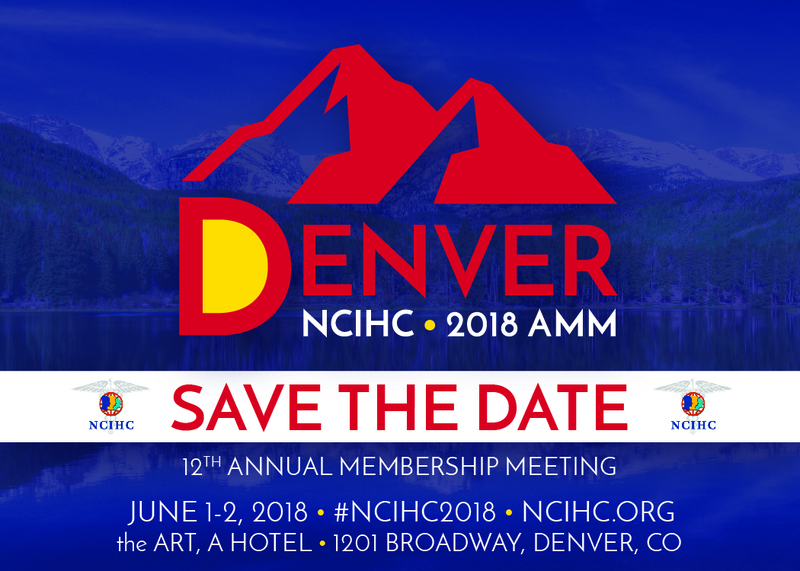 membership meeting, and not a conference, all attendees are required to be a part of NCIHC. finding answers and working together in protecting and advancing this vulnerable population. Our mission, strength and determination is now more important than ever. Please feel free to email [email protected] directly with any questions you may have. an opportunity for participants to share their experiences. AMM and requires separate registration. ATA has approved the workshop for 4 continuing education points. Transportation will be provided. Hurry and sign up - there is a maximum of 38 attendees. We will be meeting in front of the ART hotel at 12:00 pm - leaving at 12:15 pm. Please click here to reserve a room under our discounted group rate ($189/night). The 2018 AMM Registration Fee is $140 Early Bird and $180 for regular registration. *Please note, this is a membership meeting. Only members may attend. Early bird pricing has been extended to Friday, May 18th! Please click here to download the exhibitor / sponsor prospectus. To register as a sponsor, please click here.